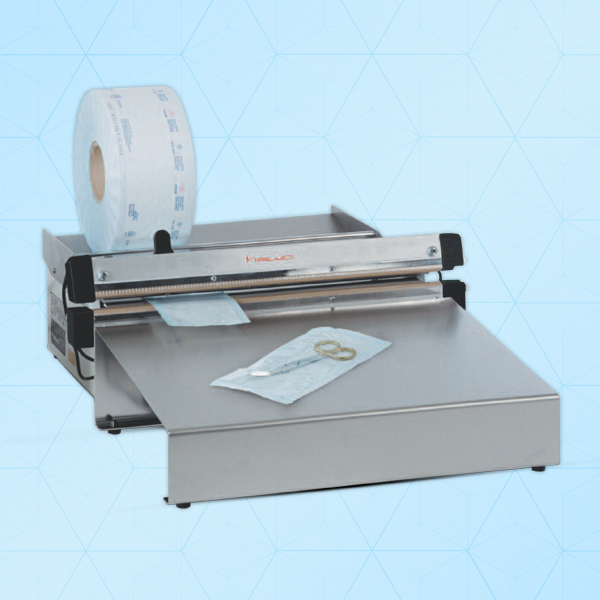 The Semi-automatic hm 450 AS-8 / hm 630 AS-8 impulse sealing devices are used in the packaging of sealable pouches and reels (SBS) in hospitals and the medical industry. The devices are conform to the requirements of DIN 58953-7:2008. Proper handling of medical instruments begins even before sterilisation by choosing the right packaging material and ensuring that the sterile barrier system (SBS) is perfectly sealed. This is the only way of guaranteeing instrument packaging that offers you and your patients or customers maximum hygiene and safety. This machine has automatic electronic sealing & cooling timer facility.